I hope this newsletter finds you well. I'm happy to say that in addition to our LAFD partnership for Neighborhood Council feedback on LAFD's first strategic plan, we have received another request from the Bureau of Sanitation for Neighborhood Council partnership for their 2040 One Water L.A. Plan team, which will develop implementation ideas for the City's plan to effectively capture, conserve and reuse water. If you're interested in being part of this team as a Neighborhood Council representative, please see the information below. As we've mentioned in the past, retreats are a great way to get all of your Board members on the same page. Since the Department also practices what we preach, our staff had a retreat yesterday at the Maritime Museum down in the Port of Los Angeles, which was facilitated by our Human Relations Commission. 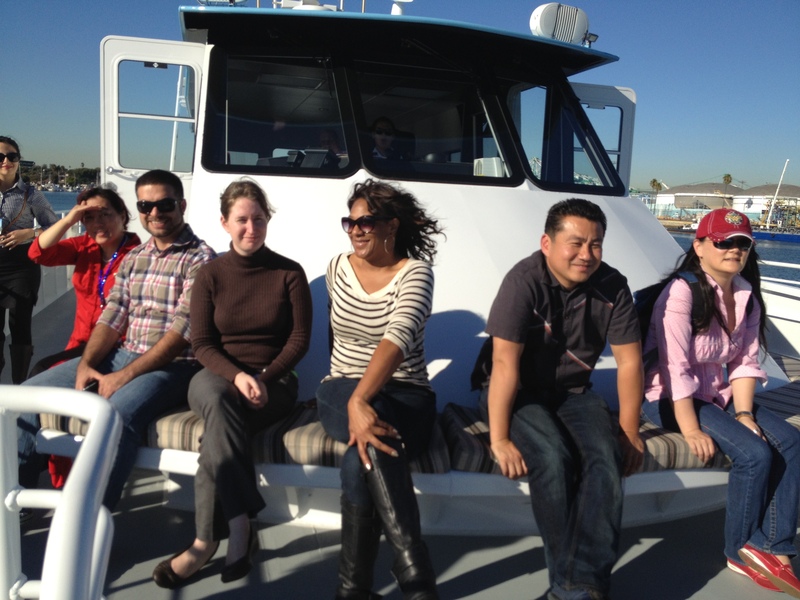 As part of our team building exercises, we took a boat tour of our port. It was a good way to assess what's working and what needs to work better in order for us to provide Neighborhood Councils the best support we can. Speaking of retreats, I'll be participating in Central San Pedro Neighborhood Council's board retreat tomorrow after stopping by our EmpowerLA Leadership Academy workshop on Connectivity in the Harbor area. If I don't see you, have a relaxing weekend! Question: Why are we having elections so soon, it seems like we were just elected to our seats?